Nifty Intraday Chart: Nifty moved up as we expected. 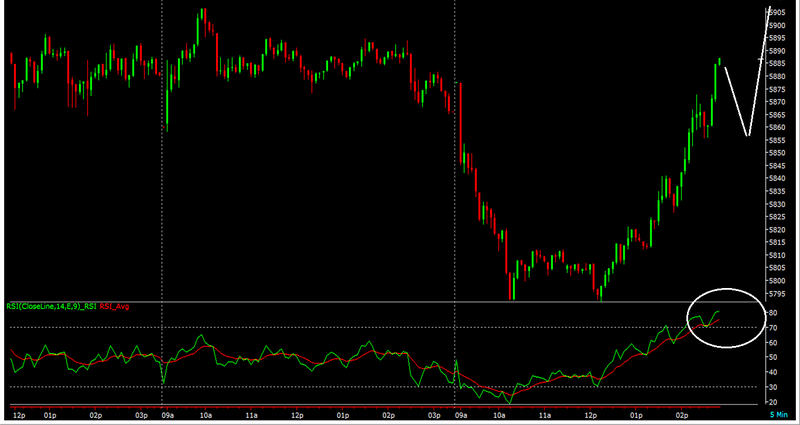 Now Nifty is in highly overbought zone on intraday cards, need a pausing and will resume its journey upwards tomorrow. Today's close would be critical.